This is the crowd I run with. 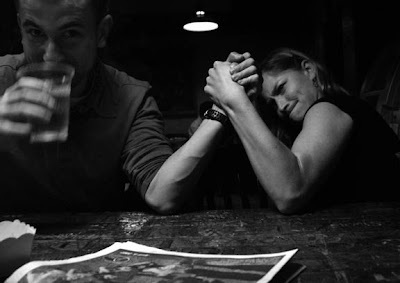 We're all about facial scars, drinking Schaeffer's Beer, and arm wrestling girls. Aw, thanks vlad :) I work out, but I guess I still need to work out harder, it looks like I'm using all I've got. P.S. I love your face in this picture! Absolutely classic.